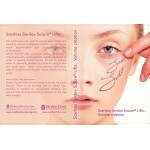 This manual offers detailed step-by-step explanation and instructions for performing the Scarless Serdev Suture® Technique for nasal tip rotation. 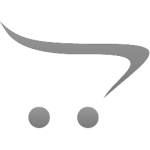 Video instructions, as well as pre- and aftercare are also included. The “golden section” rule states that the face should be divided into 3 equal parts (the length of the nose occupying the middle third). The nose should have a thin dorsum, thin tip and narrow allar base. The tip of the nose prominence gives volume to the central face and its position should be in harmony with the beauty triangle (projected cheekbones and chin) and in line with the cheekbone prominences. The nasal dorsum should be straight or slightly concave. The best angles in Caucasians are: 90o angle at the tip, 110o nasolabial angle, 30o angle of nostrils to columella, 30o dorsum to profile line. 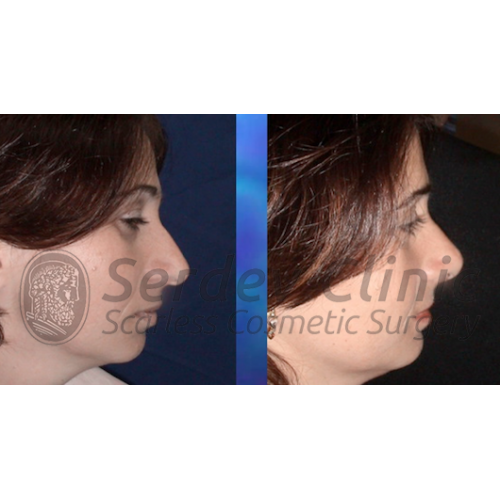 The aim of Serdev Suture®techniques in beautification Rhinoplasty is to improve not only the aesthetic proportions, volumes and angles of the nose, but adapt them to the face as a whole. Serdev Sutures® include tip refinement, tip rotation, tip projection and allar base narrowing. 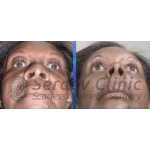 This closed approach nasal tip rotation procedure using sutures is mostly useful for Asians and Afro-Americans, who have a softer septum and unstable columella. In Caucasians with a hard septum, the tip cannot be lifted with sutures. This fact calls for another technique of the author – the T-excision and columella sliding, which could be supported by a suture. This method is very helpful for aligning the dorsum, especially in cases of irregular dorsum and secondary rhinoplasties. 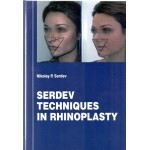 Instructional book for Serdev Techniques in Rhinoplasty.This book describes Dr. Nikolay Serdev's author mini-invasive surgical techniques, suffic..